When I was offered free tickets to see the Florida Dance Theatre perform their Innovations show, I jumped at the opportunity, not only to see the performance but also to get to see the Polk Theatre. 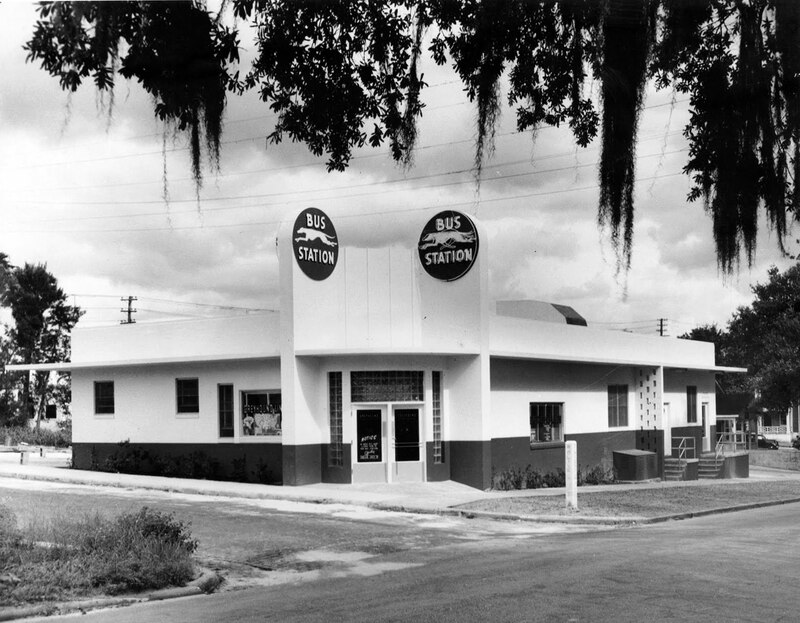 Built in 1928, the theatre designed by J.E. 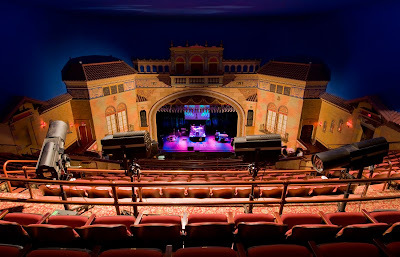 Casale is one of three of this style in the state, the Tampa Theatre and the Florida Theatre in Jacksonville being the other two. 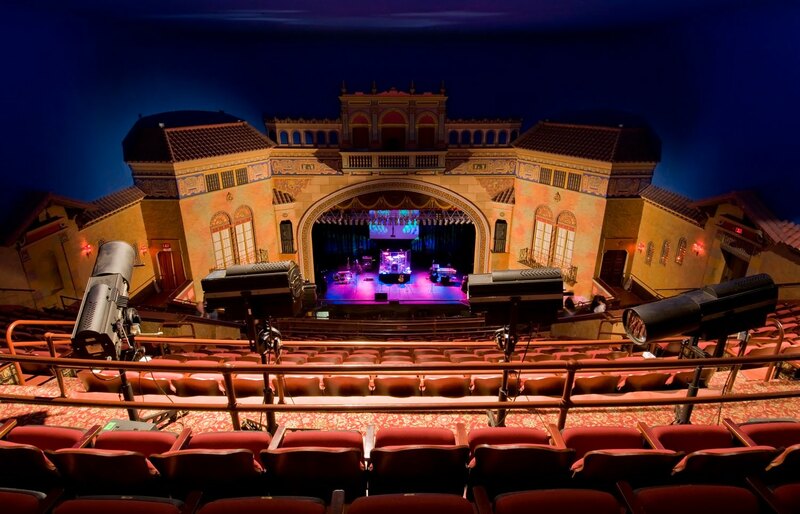 The theatre is described as a re-creation of a Mediterranean village "flanked by Italianate walls with niches, sconces, and faux balconies and windows" with a the "full scale Italian renaissance 'townhouse' setting that dominates the Polk’s interior." According to the theatre's website, the Polk originally showcased both live vaudeville acts and films. 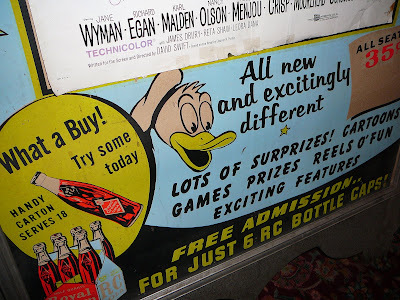 "There was a stage trap door that was particularly useful for magic acts. 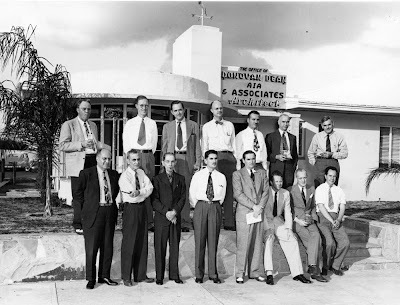 Enticing locals with the “Hollywood Scandals” were the McCord Dancers, the Sun-Tan Revue, and The Green Pastures. The Chinese Houdini, Li Ho Chang, also performed live on stage, and of particular note was Sally Rand with her famous fan dance. 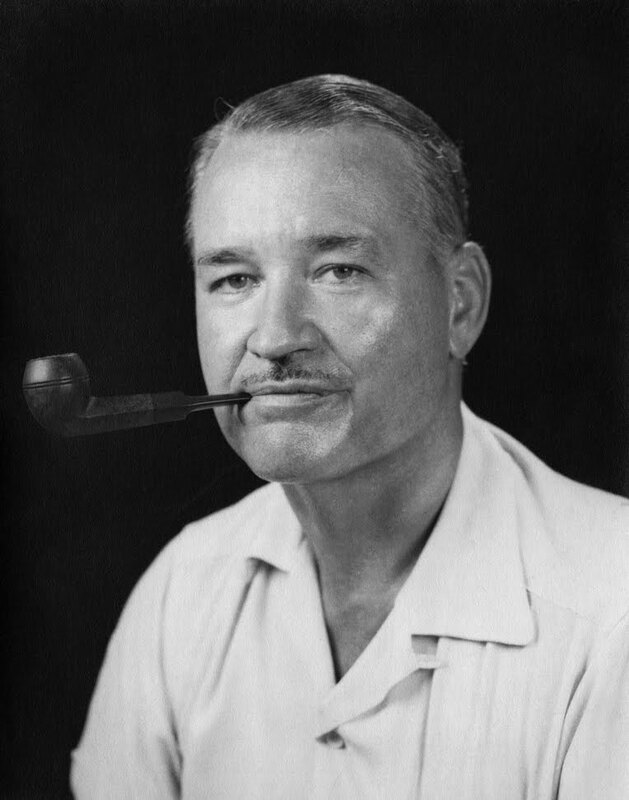 Other notables to perform through the years include, Tommy Dorsey, Harry James, Gene Krupa, Eddy Arnold, Tom Mix, Gene Autrey, Glenn Miller and the king himself, Elvis Presley in 1956." The theatre was restored in 1999 but as is the case with any old building, it needs constant maintenance and repairs. 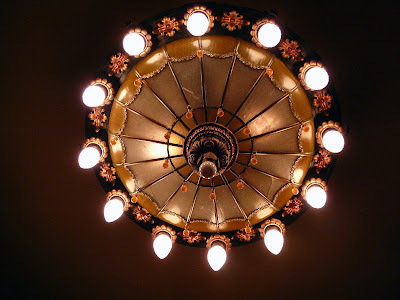 I was much impressed by the building's decor, it reminded me very much of the Kimo Theatre in Albuquerque. 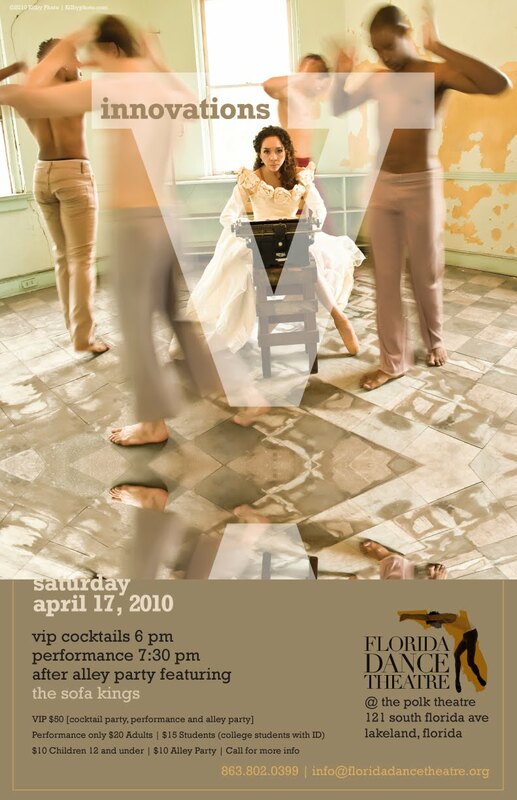 However I was completely blown away by the performance of the Florida Dance Theatre. 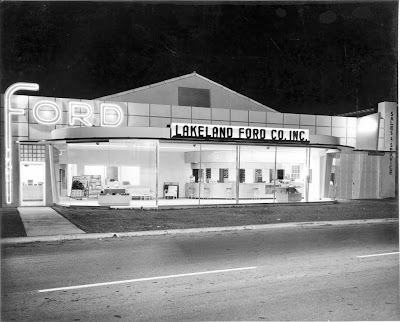 My brother does the photography for the Lakeland-based dance company, or otherwise I would have never heard of the group. 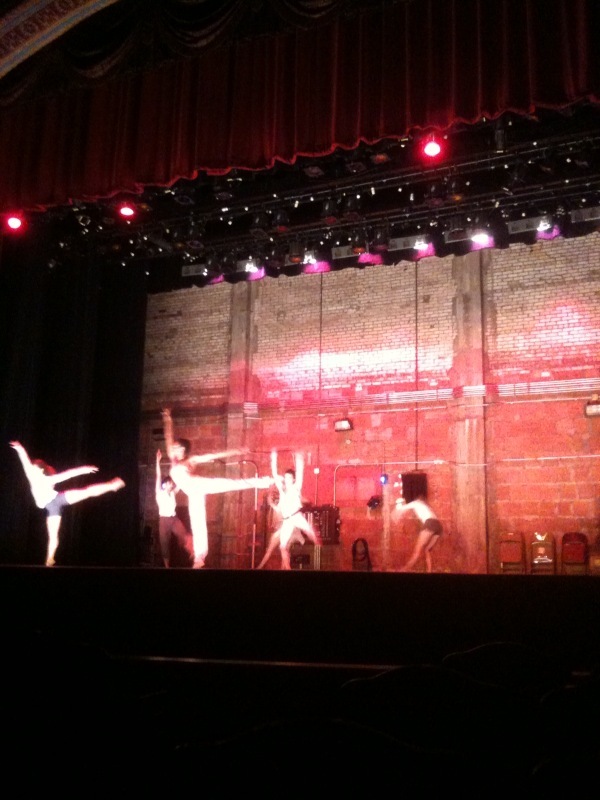 I'm really not much of fan of dance I must admit, but if all dancing were like Innovations, that would be different. The show was more like Cirque du Soleil than Swan Lake, with the show broken down to short vignettes with multiple costume changes and a great deal of unpredictability. The movements were amazing, and to my untrained eye it appeared as if they were pushing the limits of the dance medium. I was entranced throughout the entire program. Sadly the attendance was pretty small, as Lakeland is not a huge market for this type of event. It was disappointing because the entire performance was amazing, creative and skillfully executed and the seeing the theatre alone was worth the drive over from Orlando. 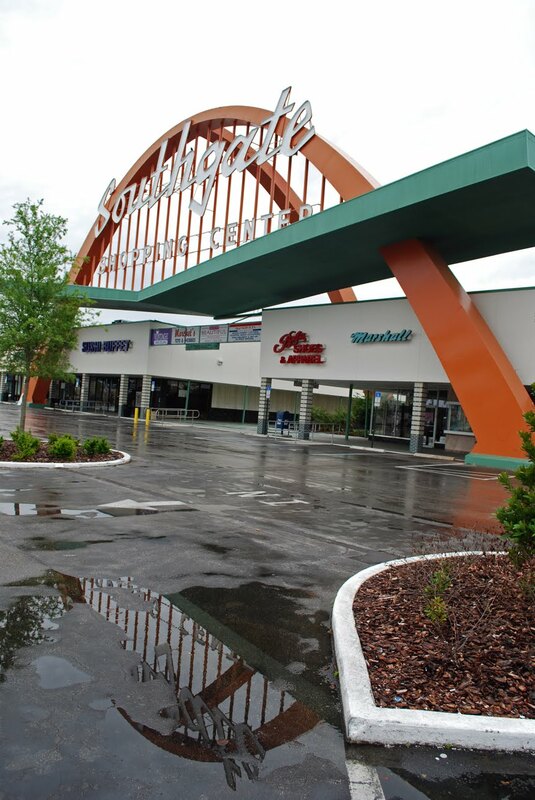 I recently re-watched the Tim Burton film Edward Scissorhands, which was filmed in Florida, and was thrilled to see the scene at Lakeland's Southgate Shopping Center. 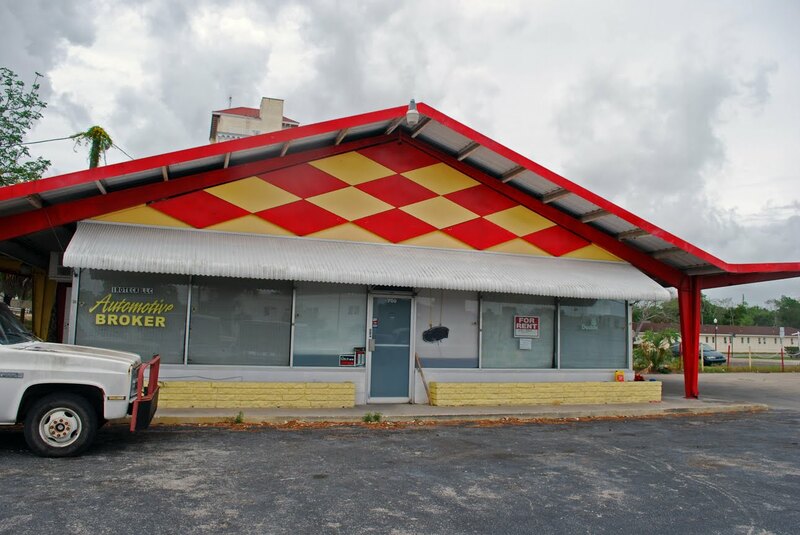 So I was excited to find out that it was just down the road from where I was staying on a recent trip to Lakeland. 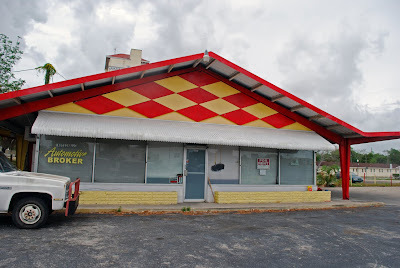 I had planned to do a Lakeland "photo safari" with my brother, but the weather did not cooperate. 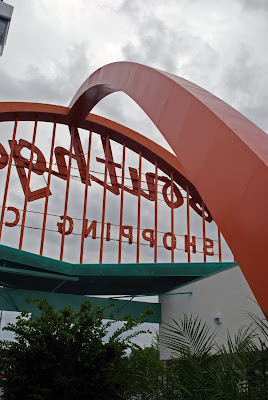 But I stopped at the 1957 shopping center to photograph their monumental signage, despite the rain. Called a "flying saucer arcade" by the Lakeland Ledger, the shopping center's giant arch is mammoth in scale and has a huge support buttress behind it that lands in a neat little courtyard. In a thoroughly written article in the Fall 2001 SCA Journal, author Kim Hinder reports that the entire plaza cost over $1 million and an ad for its opening exclaimed "make plans now to rocket on down to help us celebrate the 'blast-off' of this 16 store galaxy." The anchor store of the plaza was the Publix supermarket, and it was Publix founder George Jenkins who introduced many of the essential architectural elements we've come to associate with grocery stores today. Jenkins' innovations include "self-service meats and produce as well as groceries air conditioning, electric eye doors plate glass windows, 8-foot wide aisles," and perhaps most importantly, the idea to locate grocery stores in suburban shopping centers like the one in Lakeland. 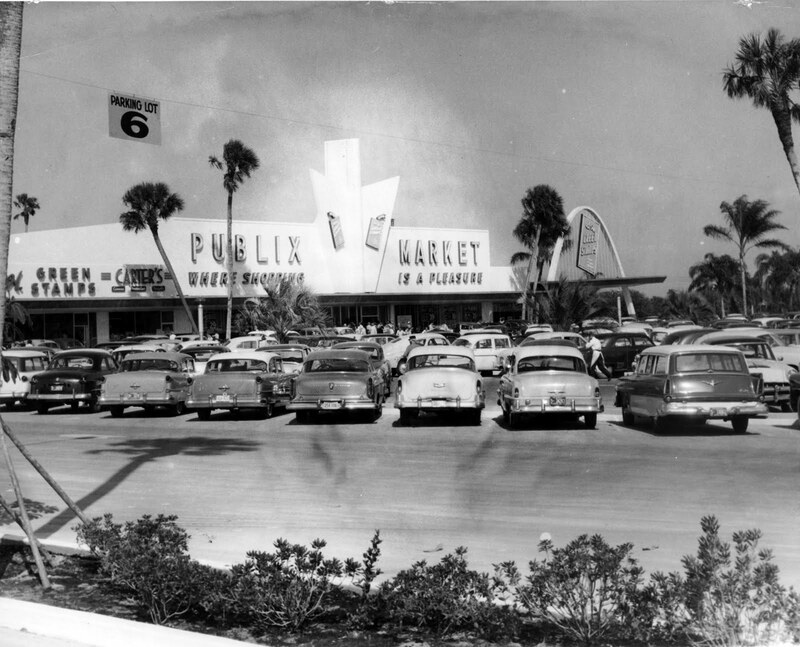 Hinder reports that in 1956, supermarket design embraced the Exaggerated Modern style featuring "colossal canopies, parabolic arches, sign pylons, or pyramidal roofs" and the architect chosen to design in this style for Publix was Donovan Dean, the architect of the Southgate Shopping Center. 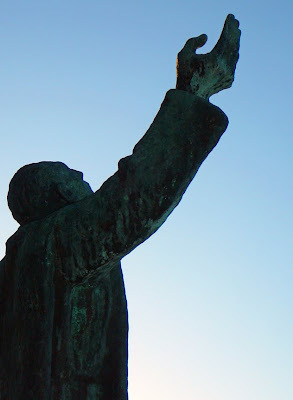 I first became aware of Dean through friends who live in a nearby Dean-designed house (future post.) According to an article in Reflections from Central Florida, Dean moved to Central Florida from Wisconsin in 1938, and eventually grew his architectural firm to have offices in Lakleand, Orlando, Cocoa and Winter Haven. Notable buildings he designed in the area include the Sentinel Star (Orlando Sentinel) building, St. James Catholic Church (currently undergoing restoration), and the corporate headquarters complex for Publix built in 1951. 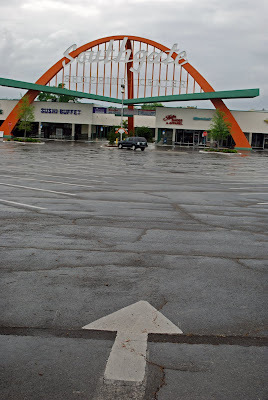 Below are some other buildings designed by Dean's firm, including some mid-century jewels, but none quite as grand as the Southgate Shopping Center. 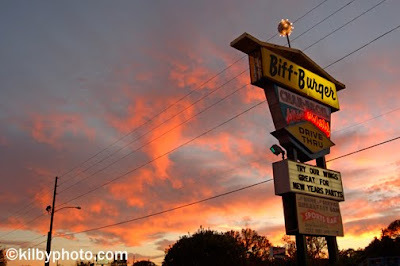 My brother the photographer took this amazing image of the only operating Biff-Burger. 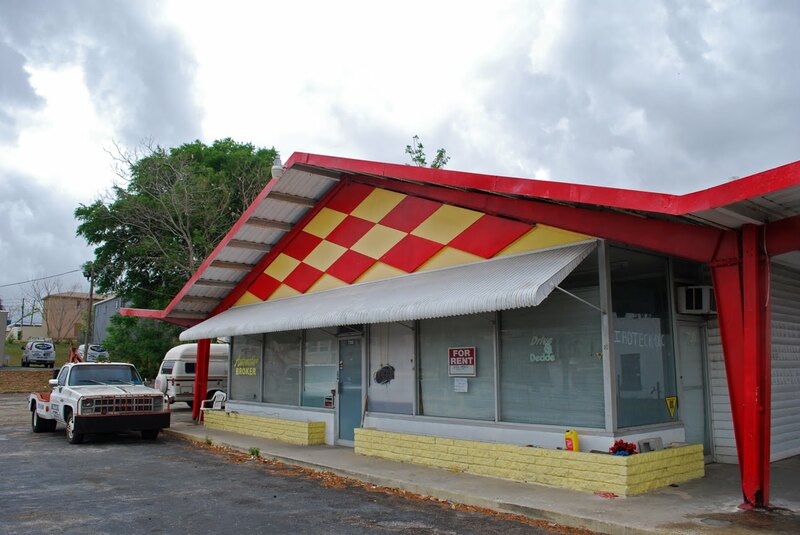 I'm always amazed at how Florida wildlife can prosper in the midst of some of our state's densest urban areas. The little lake I live on is just a hop, skip and a jump from downtown Orlando, yet at times it is an oasis of nature. 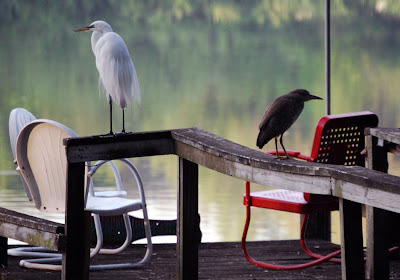 One morning this week, I looked out the window to see a family of four Black Crowned Night Herons perched in a Live Oak above the water. I grabbed my camera and was shocked to find a plethora of wading birds; Great Blue Herons, Great Egrets, Snowy Egrets and even the occasional Wood Duck. 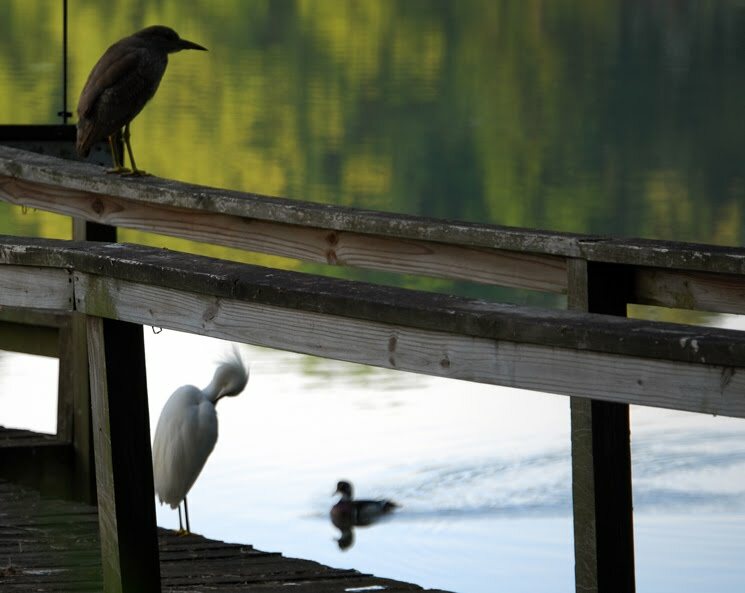 It's the second time this spring where we've had this cluster of birds in one concentrated spot and my guess is that they are feeding on the fry of the Tilapia that spawn in great abundance this time of year. 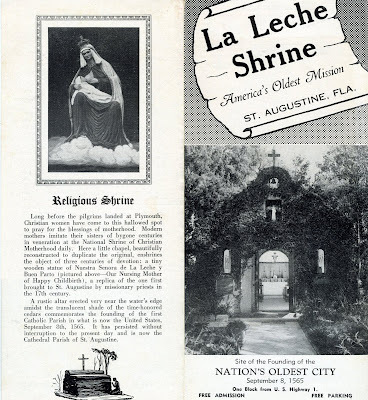 La Leche Shrine, Florida's oldest attraction? Growing up in Gainesville, I visited the nation's oldest city of St. Augustine at least once a year as a kid. 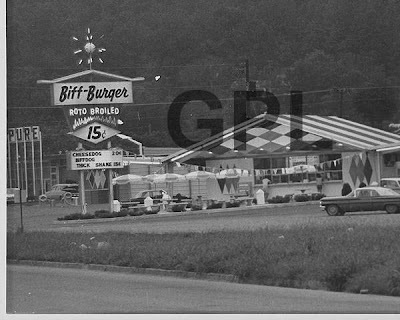 We usually stuck to visits to the beach, fort and St. George Street, and never visited the attractions outside the core of the old city. 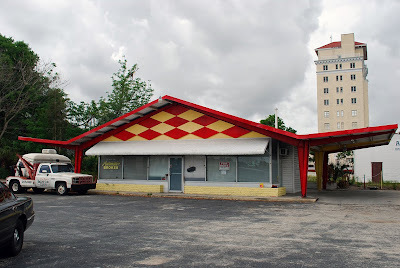 So when my family decided to meet in St. Augustine for Thanksgiving in November 2008, I was excited to stay in the vintage motel that is now a Howard Johnson's. 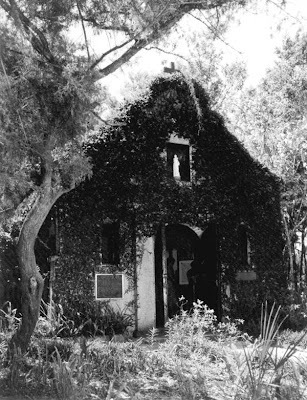 Located between the Fountain of Youth and La Leche Shrine, the motel wraps around a 400 year-old Live Oak named the Senator (because it is "shady and crooked" the trolley drivers joke.) This ideal location meant I could finally visit these two iconic St. Augustine attractions, within walking distance of where I was resting my head at night. 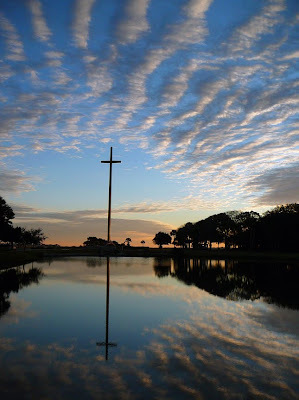 It is hard to visit St. Augustine and not be aware of the La Leche Shrine because it is marked by a 208 ft cross. 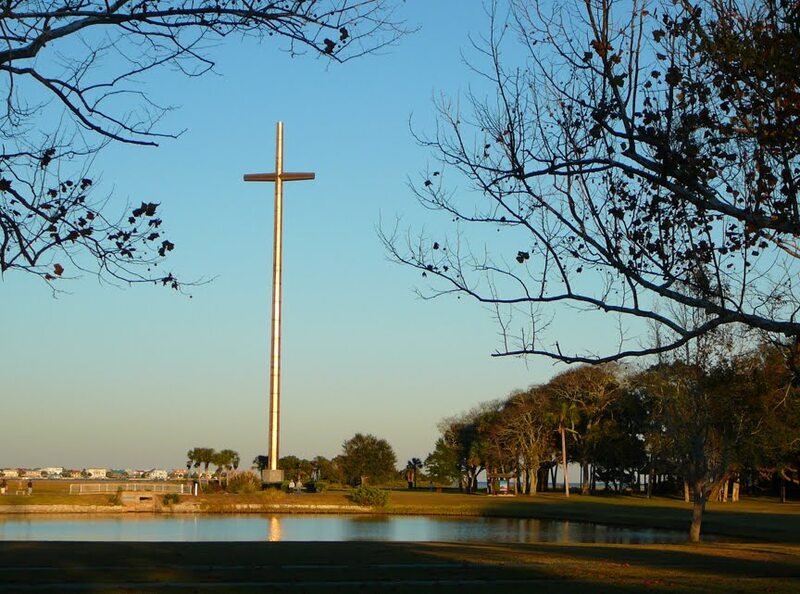 Erected in 1966, the cross "celebrates the Four Hundredth anniversary of the Mission of Nombre de Dios and the City of St. Augustine," according to the shrine's website. 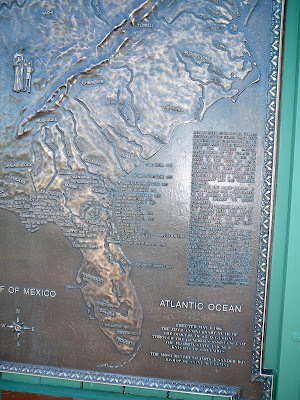 Before reaching the cross, one passes a plaque with a map of the southeastern portion of the U.S., showing the locations of all the missions built by the Spanish from 1565 to 1763, nearly 200 in total. 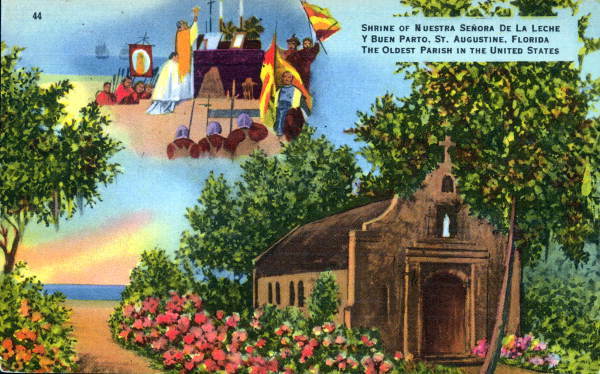 The first mission established by the Spanish was Nombre de Dios, in St. Augustine. 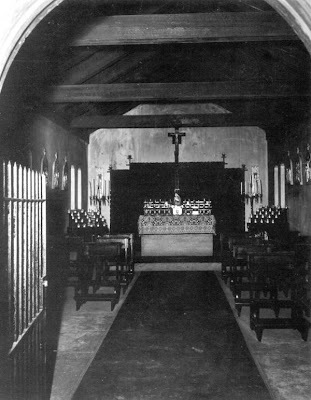 The Chapel of Our Lady of La Leche, or "Nuestra Senora de la Leche y buen parto" anchors what the website calls “America’s Most Sacred Acre.” Early chapels on the site were made of wood and later rebuilt of Coquina in the 17th century. The chapel was restored in 1914. 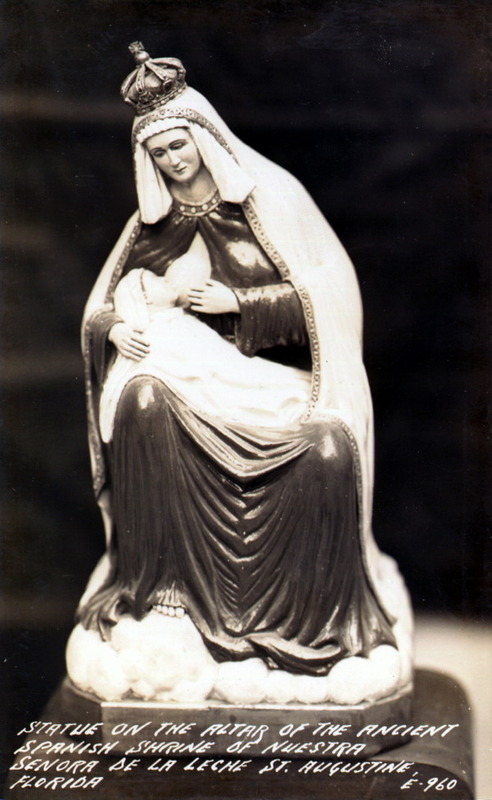 Inside the chapel is the shrine featuring a replica of the Our Lady of La Leche statue, showing Mary nursing an infant Jesus. The website explains the significance of the shrine this way: "The history of the devotion to the Mother of Jesus as Our Lady of La Leche may have roots in a 4th Century grotto in Bethlehem. 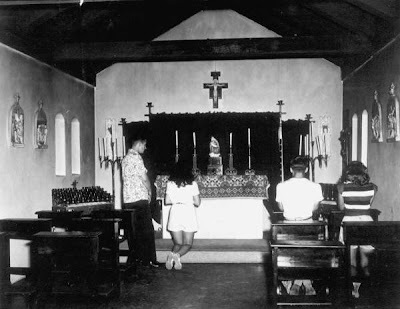 To this day the Franciscan community maintains a shrine there called the Milk Grotto. ... many believe that the crusaders brought the devotion to Mary as a nursing mother to Spain in the Middle Ages...by the early 1600’s the devotion, under the title of Nuestra Senora de la Leche y buen parto, had a special place in the lives of the Spanish settlers and the converted Native People in St. Augustine..."
Throughout the grounds are many monuments and statues, both ancient and contemporary. 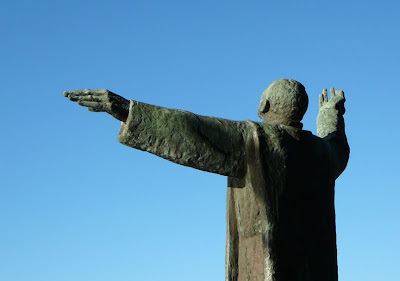 The most monumental is the Statue of Father Francisco Lopez, at eleven feet it is hard to miss. Lopez was the chaplain of Spanish explorer Don Pedro Menendez de Aviles' fleet when the expedition landed in what was then the Indian village of Seloy and established a mission there named Nombre de Dios (Name of God) in 1565. When I came upon the marker for the Rustic Altar where Father Lopez and and Menendez celebrated a Mass of Thanksgiving with "colonists, soldiers and the Timucuans," I realized that our family had come to celebrate its Thanksgiving near the site where the original Thanksgiving in the New World had actually occurred. 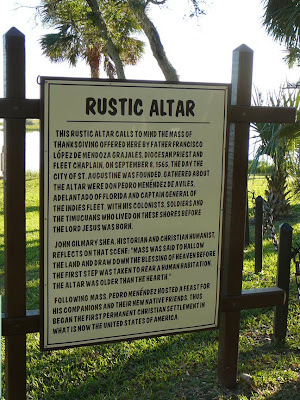 I was inspired and excited, and I realized that through dozens of visits to St. Augustine I had missed a huge part of history, because I hadn't explored thoroughly enough. It was from this inspiration, that Visual Ephemera was launched, and my exploration of the "State I'm In" began. 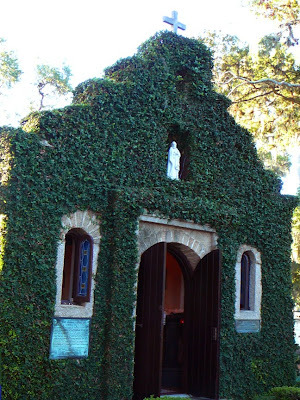 The Mission Inn Resort & Club is located in Howey-in-the-Hills, a little out of the way town in Lake County. 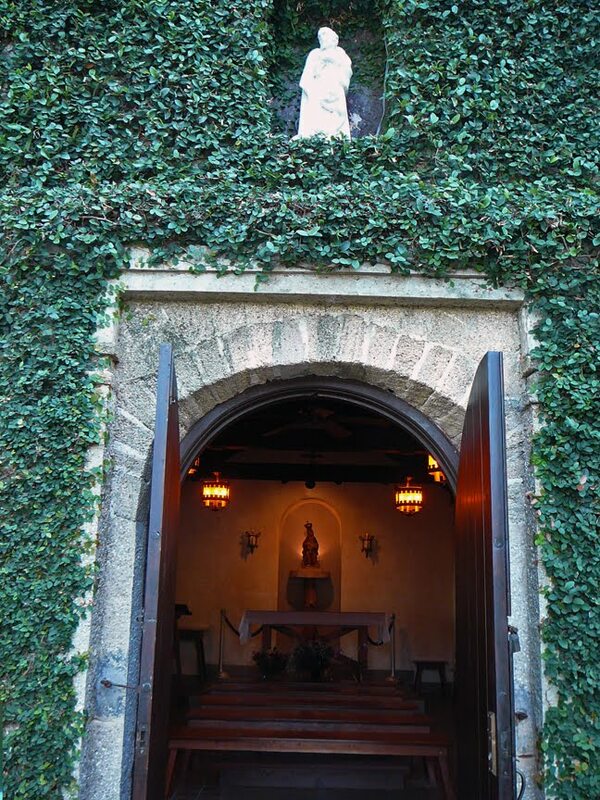 The golf course dates back to 1917 and the Spanish Mediterranean architecture is worthy of an entire post by itself. 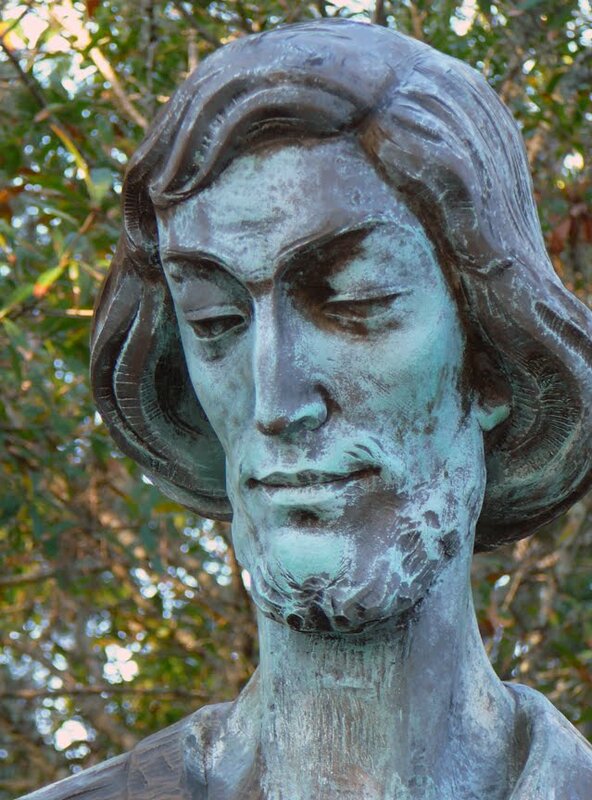 I attended an outdoor wedding there this past weekend, and the entire service was held under the watchful eye of a Spanish conquistador who I believe to be Ponce de Leon himself, perched at the top of a beautiful fountain. 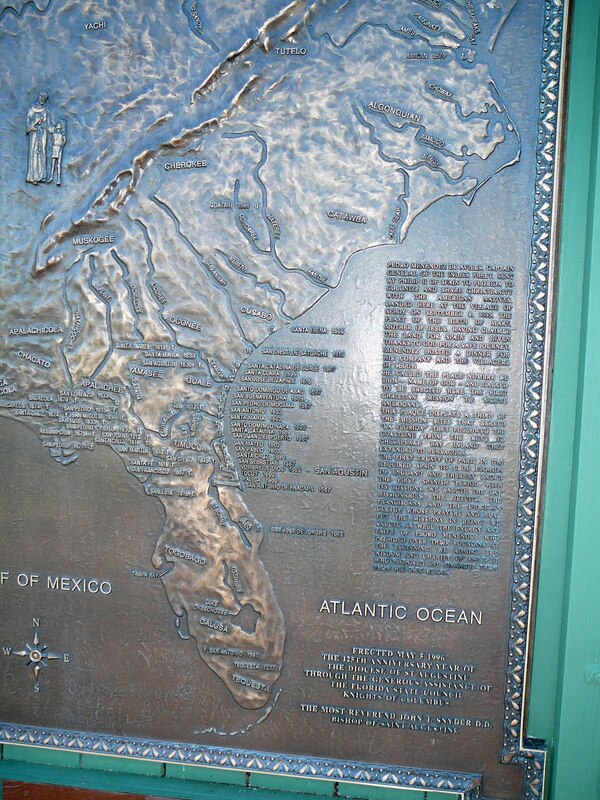 The attention to detail throughout the entire resort was pretty amazing, and as I am obsessed with all things Ponce de Leon, I was thrilled by the molded butter at the reception in the shape of the Spanish explorer. I almost wanted to try to sneak him home, but when I wasn't looking, Mrs. Ephemera had whacked him in half spread half of poor Juan's neck onto her dinner roll. 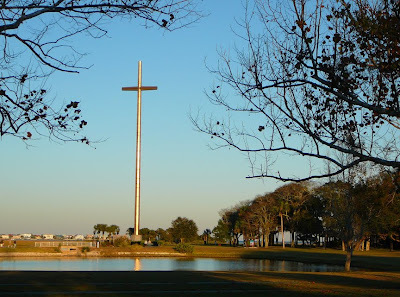 Florida has a history of religious themed attractions that continues to this day with the large Holy Land Experience attraction here in Orlando. One of the lesser know religious displays is part of Sarasota Jungle Gardens, a series of miniatures known as "The Gardens of Christ." According to the Sarasota Herald Tribune, the eight hand-carved dioramas were dedicated on March 2nd of 1975. 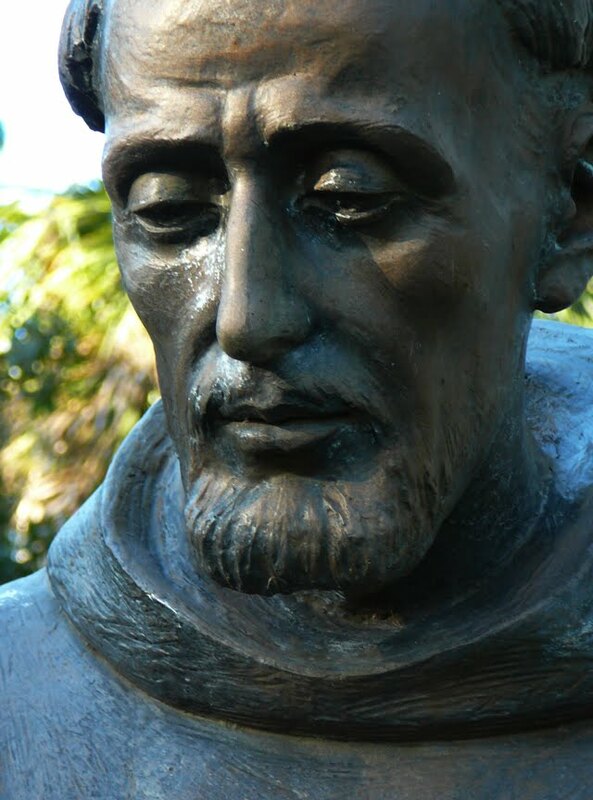 The March 3rd article explains that the carvings were created by St. Augustine artist Vincent Maldarelli, but the artist passed away before his work on the "Gardens" could ever be displayed. Representing five years of Maldarelli's life, the series was inspired by a carving the artist created of Leonardo's Last Supper. The figures are carved out of balsa wood with clothing and settings extensively researched by the artist, who went to the Middle East to research the project. 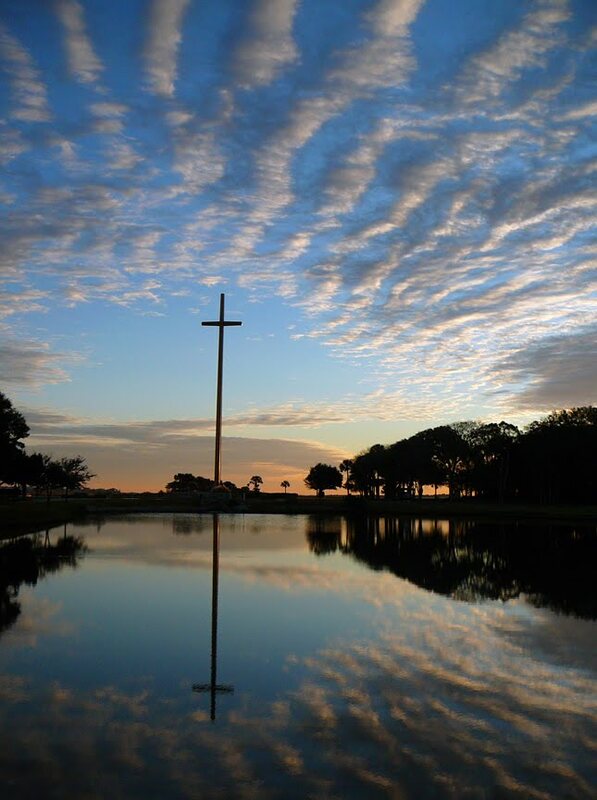 Each of the scenes has an accompanying recording that plays continuously describing the subject matter and its bible reference. 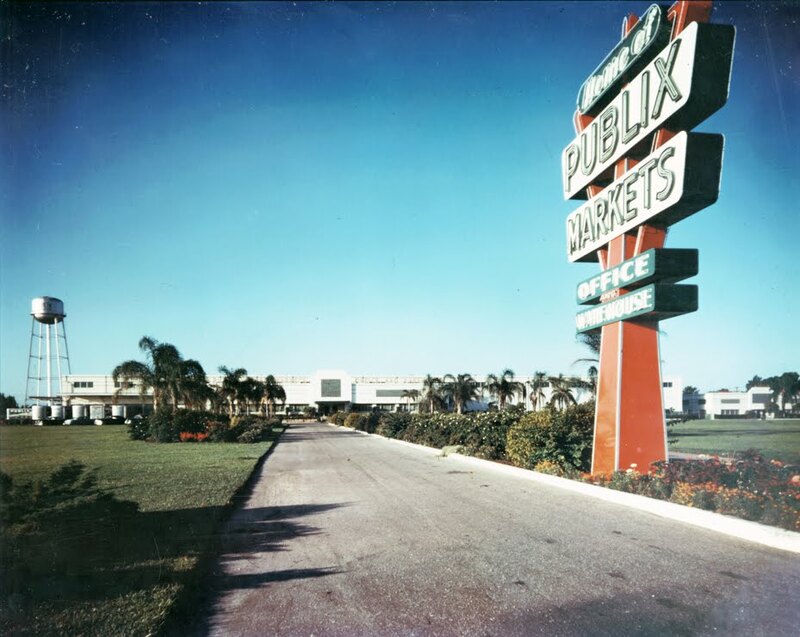 The dioramas were in storage for six years before the artist's sister arranged for them to be displayed in Sarasota. Some of Maldarelli's other Florida works are sculpture of Ponce de Leon and Pedro Menendez in St. Augustine. 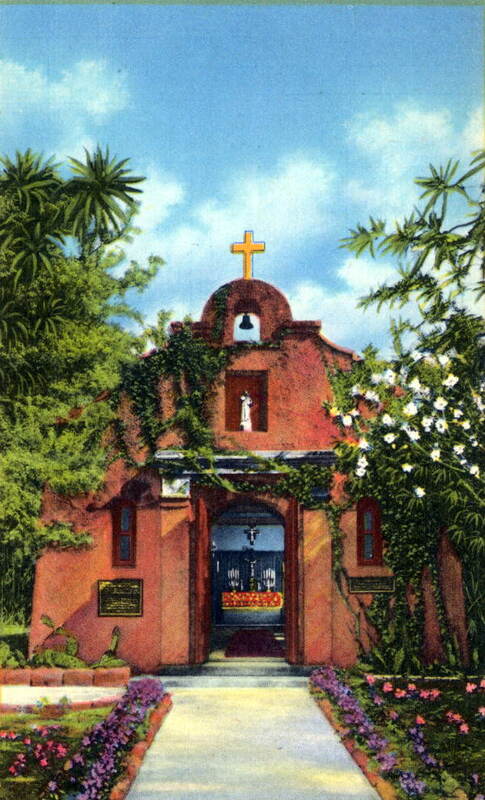 The artist was born in Italy and came to the US at the age of four. His father was a jewelry designer for the Tiffany company in New York.